Home Health Subscription Boxes: Are They That Healthy? 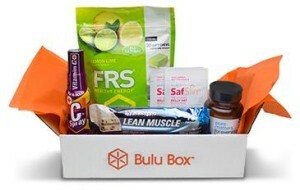 Bulu Box labels themselves as a monthly subscription vitamin and supplement box. Their standard month-to-month price is $10, and the box I received contained a handful of products to try them out in case you want more. And if you do want more, Bulu Box also sent me a handy guide explaining what each product was and how much the full items cost. My box contained a sample of protein powder, a packet of gummy multivitamins, a collagen chew, two nasal health herbal supplements, and a mix for protein pancakes. I like the idea of having sample products sent to my house in order to try new ones and see what products are out there. I can see why ordering a subscription service like Bulu Box might be worth it to try samples of different products before paying the full price! The meal delivery system from Freshology is another subscription service available. I received their FreshMommy program which caters to women in their late pregnancy as well as postnatal women. This particular program supplies three meals, two snacks, a dessert, and a health bar for each day of the week, delivered twice a week. I also received a welcome packet and a link to nutritional information online for each meal and snack. According to the welcome packet, the menu provides between 1800-2200 calories a day, the nutritional requirements for a woman and her baby. Being a woman who is not pregnant and without a newborn, though, this was too many daily calories for me. On the other hand, when taking this into account, I can see how this program would work! It would be convenient for new moms or those about to deliver who don’t have time to prepare healthier meals at home. I was pleasantly surprised, and the most impressed, by HealthySurprise. 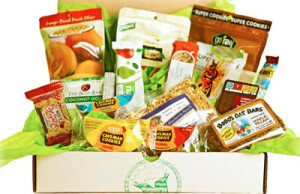 HealthySurprise is a monthly subscription snack service. These snacks are guaranteed to contain organic, gluten-free, and all-natural ingredients. I was surprised the most by how many snacks I received in the mail, more than I could ever consume in a month by myself! HealthySurprises’s Starter Box is $40 a month and their Big Box is $60 a month. I liked the variety and kinds of snacks HealthySurprise provided. Most of them tasted great, and even some of my friends loved them and wanted to know more about HealthySurprise. I also liked how the snacks included ingredients with names I could actually understand. Overall, these home health subscription services are definitely worth looking into!